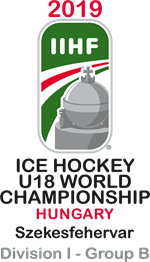 It was a second game in 24 hours for GB after an impressive 4-2 win over Japan U18s in Petzalka yesterday. Alex Graham gave GB on the board early but OHA led 3-1 at the first intermission. After OHA stretched their advantage to 4-3 in the second period, Austin Mitchell-King and Kieran Brown made it a one-goal game. OHA pulled out to a 6-3 lead in the third session but still GB weren’t done and Brown added his second, while Jacob Lutwyche was also on target, although OHA hung for a narrow win. Head coach, Martin Grubb, said: “It’s always disappointing to lose a game but it is more important that we take the positives out of this performance into Hungary and learn quickly from our mistakes. “We started poorly in the first period and took too many penalties and that costs you at this level. “We improved and played much better in the second and third. We showed good character to get ourselves back in the game and couldn’t find an equaliser. 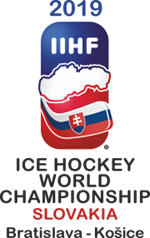 GB now move onto Szekesfehervar in Hungary tomorrow ahead of Sunday’s first World Championship game against Slovenia. Britain also face Japan, Hungary, Austria and Italy with the six-team tournament running from 14th to 20th April.